March 2008 marks Danville’s sesquicentennial. In March of 1858 -- one hundred fifty years ago -- Dan Inman purchased 400 acres in today’s Old Town. Danville counts its anniversary from that purchase. He, his brother Andrew and a friend named Jesse Bowles came to California in 1849 at the ages of 22 and 23. Like so many young men, the lure of the fabulous California gold rush sent them west. Dan was born in Tennessee in 1827, grew up and went to common school in Illinois, learned farming as a boy and then apprenticed as a cooper (making wooden barrels, casks and tubs). He had started his own business when the gold rush beckoned. Unlike so many miners, they were successful at it. With $3000 they had earned, they opened a boarding house in Sacramento near the river that first winter, only to have winter floods ruin the property. Returning to the mines, they worked around Hangtown, Grass Valley, French Corral, Downieville, Middle Fork, Grass Valley and Auburn. In 1852 the brothers moved to Danville, bought a farm in Green Valley and raised cattle and sheep together for several years. Andrew settled down, married Ann Young, built a fine house and ran large flocks of sheep from Green Valley all over the western Mount Diablo foothills. He later donated land for the first Green Valley Grammar School. But Dan returned to mining, coming back to the valley occasionally. At one point he, Jesse Bowles and a Mr. Bixby tried to grow tobacco on 30 acres south of Danville, which didn’t make a profit. Later he bought a mine in El Dorado using a new technique, hydraulic mining, which was very profitable. “In the summer of 1859 a man named Davis came along and wanted to start a blacksmith shop where the one now stands (Close’s) and I gave him permission to do so. He sold out that winter to Jim Johnson, now deceased. Johnson soon after sold to Simon Whitmore. “Then a man named Long started a wheelwright shop. About the same time H.W. Harris started a hotel, and Wolff & Cohen a store. “Then the people of the valley wanted a post office. Of course it had to have a name, and quite a number were suggested. At first they thought of calling it Inmanville, but my brother Andrew and I objected to that. Harris called his hotel the Danville Hotel in Dan’s honor even before the community was named. It was on the northwest corner of Tassajara Road and Front Street. 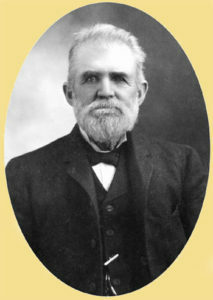 He became the first Danville postmaster in 1860. Michael Cohen built a general store on Front Street, with a house built by the Howard brothers in 1866. The census stated he and wife Matilda were born in France, their three children were born in California and their cook, Jim Ah, came from China. Cohen was postmaster for 20 years beginning in 1865. Inman farmed his land east of the creek and sold properties along Front as needed. He used his cooper training, built coffins and created the first fine carriages in the county. And he had interests beyond making a living. He was a popular speaker at July Fourth events as early as the 1850s. In 1863 he ran unsuccessfully for County Sheriff as a Democrat, during a time (the Civil War) when Republicans persuaded voters that to vote Democrat would be disloyal. 1863 had a happy ending for him when he married Josephine Jones in November. The daughter of Alamo pioneers John and Mary Jones, Josephine had her own special history. In 1846, her parents and two sisters made it over the Sierras just before the early snows which trapped the Donner Party. John had been ill and Mary did much of the grueling driving and work, all while she was expecting a baby. They ended up in Chiles Valley that winter and Josephine was born in January, 1847. Next time, new ventures for the Inmans.